Customers can order using the DMB (digital menu board) as reference. From the POS (point-of-sale), orders will be sent to the kitchen and will be shown to the crew inside via KVS (kitchen video system). Then the order will be processed for approximately 90 seconds and the status will be shown on the ORB (order ready board). To avoid long queue, customers can also use the MPS kiosk (multipoint service kiosk) and the food will be served on their table in no time. Such terminologies can be overwhelming when you’re joining a kitchen tour. I managed to jot down a few of them so I wasn’t able to take a lot of photos and videos. 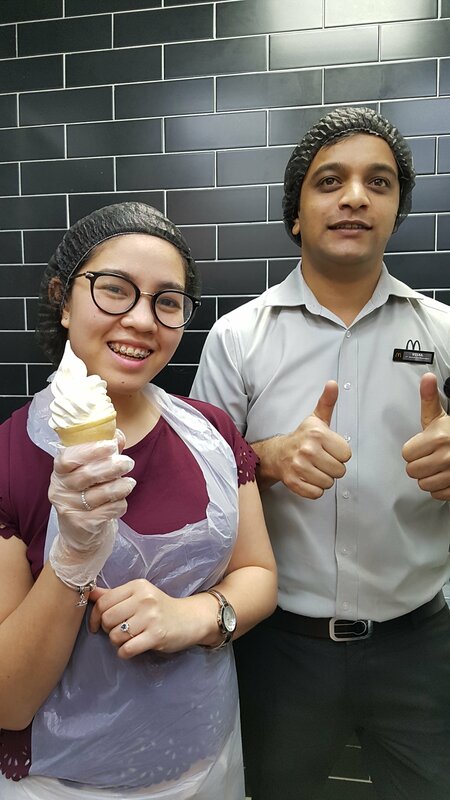 Good thing they have available videos online (via Youtube: McDonaldsArabia) showing some of the major highlights of the OPEN KITCHEN. 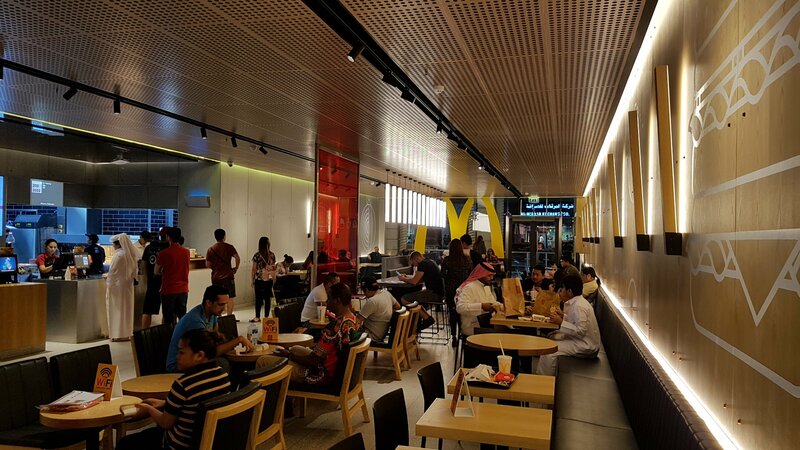 One of Mc Donald’s newest branch in Qatar is their Mirqab Mall branch which is set to have a grand launch by mid of November 2017 along with the mall’s grand opening. Through the able guidance of their Assistance Branch Manager, Mr. Ujjal Giri and their very helpful officer Ms Lala, we had a fun tour of their kitchen. 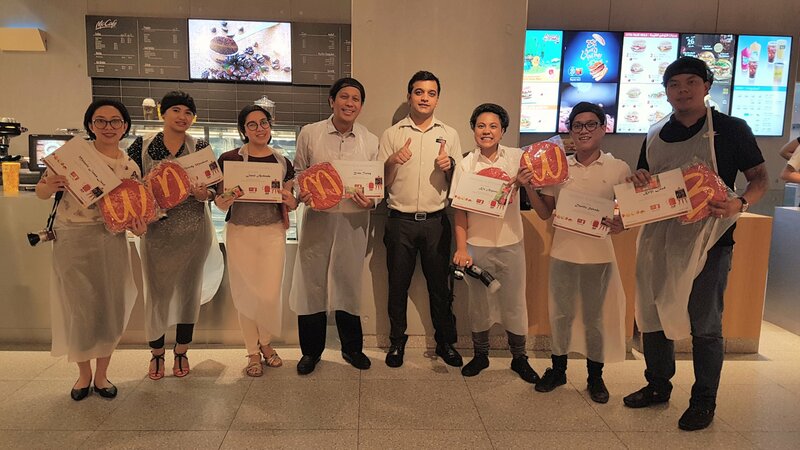 I was joined by several pinoy bloggers as we witness firsthand how the action happens inside the kitchen. It was great to see their utmost concern on cleanliness – from dish washing to washing their cleaning towels. 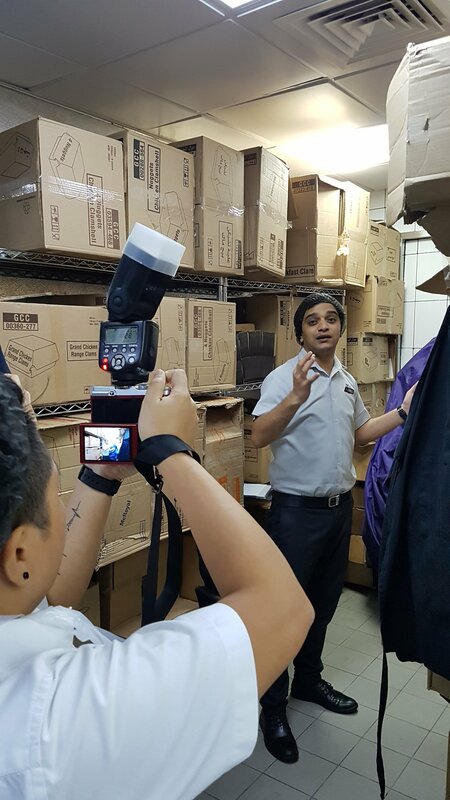 They also showed to us the cold and normal room storage for their products. On the kitchen area, they showed us how a burger patty is cooked, there are also separate deep frying area for chicken and pies as well as separate cooking area for French fries. A universal holding cabinet accurately gives the allowable time for cooked products to stay, otherwise it will be disposed. Then the sundae area where some of us where given a chance to try using a cone. 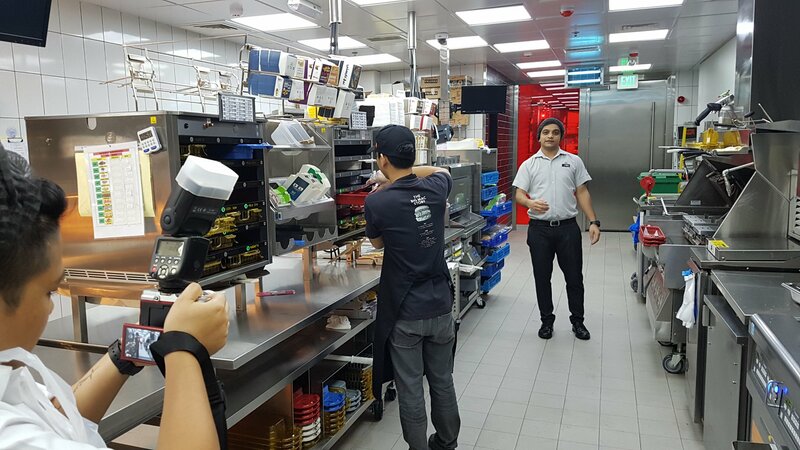 In a fast paced environment such as Mc Donalds, it is also nice to appreciate that while we want our food be served as quickly as possible, we also have to understand that a lot of processes and a lot of people are working together before our orders come out. And while there are already machines and technologies working to meet the delivery time, there are still people who put extra care and love on these products. So the next time we order, we could probably say… “take your time, and be careful!” Or better yet… say “thank you!” This is what the experience has thought me. JUST BE GRATEFUL. Because there are people who care so much to give us good food. I'm a Christian, a husband and a father, a Filipino expat in Qatar, entrepreneur, aspiring blogger, freelance real estate consultant, lover of anything KOREAN, an adventurer. Overnight at the Souq and a Day Pass in Banana Island! How to Apply for Azerbaijan Tourist Visa in Qatar?